Easton Cycling RIM ARC 27 27.5'' 32H GRY 16 by Easton at Joes V Cycle. MPN: 8022104. Hurry! Limited time offer. Offer valid only while supplies last. 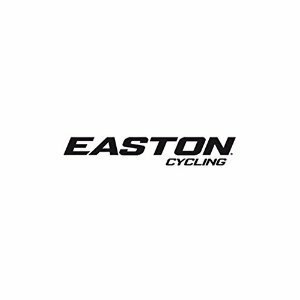 Easton offers three rim-only options engineered to suit a variety of tire volumes and riding styles from cross-country to aggressive all-mountain. Easton offers three rim-only options engineered to suit a variety of tire volumes and riding styles from cross-country to aggressive all-mountain. The Arc comes welded for increased durability and reduced weight. Ready to attack any trail, this Tubeless Ready design features a bead barb and bead hook to lock tubeless tires in place, and 32 spoke holes for optimal versatility. Rim tape, valve and sealant is needed to run a tubeless set-up. Color: Black/Gray. Weight: 475. Hub Drilling: 32. Rim Depth: 20. Manufacturer Spec ERD: 558. Valve: Presta. ISO Diameter: 584 / 650b / 27.5". Valve Length: Short. Wheel Size: 27.5". Tire Type: Clincher. Tire Type: Tubeless Compatible. Rim Center Offset: 0. Rim Joint: Welded. Brake Track: None. Rim Width (Internal): 27.